A plan for a 27-storey tower to honour former president Nelson Mandela is the winning design for a new development in Port Elizabeth. 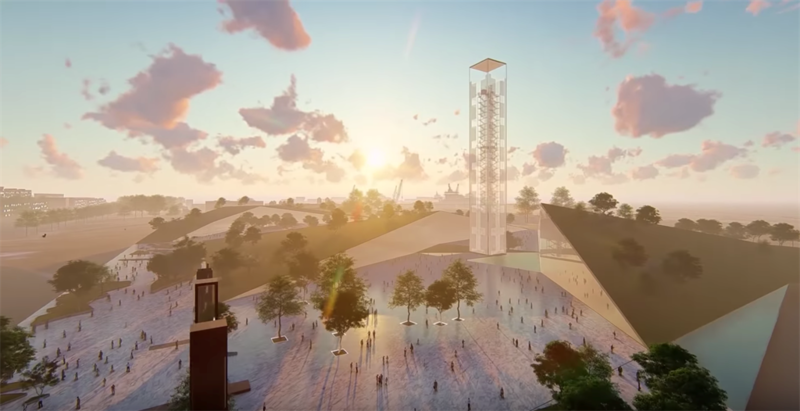 The tower’s design is inspired by the 27 years Mandela spent in prison. Visitors will be encouraged to climb to the top of the building, while listening to audio recordings from Mandela’s life. Port Elizabeth may get a 27-storey glass tower to honour the life of former president Nelson Mandela. 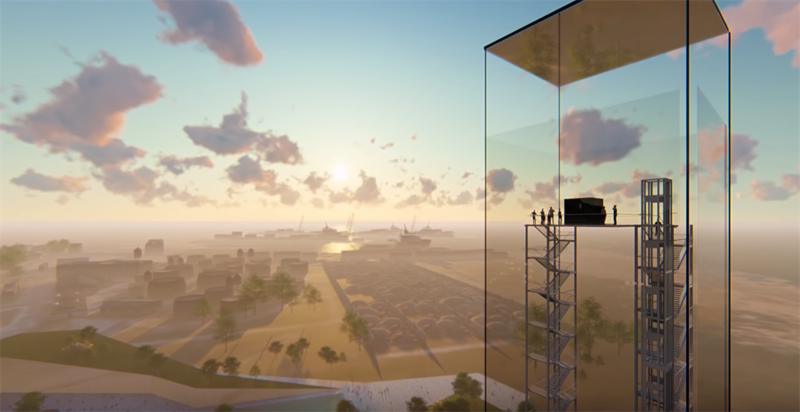 A consortium comprising the Cape Town advertising agency MC Saatchi Abel along with Makeka Design Lab and Scott + Partners has just won the bid for the design of the landmark, which will form part of a new tourist attraction. The so-called Tower of Light’s 27 storeys represent the 27 years Mandela spent in prison. Visitors will be encouraged to climb 81 meters to the building’s top to reflect on Mandela’s life. Throughout the climb, visitors will hear audio recordings of key moments of Mandela’s life such as the Rivonia trial, his speeches and sounds of Qunu, Eastern Cape where he grew up. The Nelson Mandela Bay Development Agency launched the competition for the design in April to develop an iconic, world-class precinct to honour Mandela. MC Saatchi Abel is currently working with the Nelson Mandela Bay Municipality on the finalisation of the design, and the rollout of the project. MC Saatchi Abel CEO Mike Abel said the tower has the possibility to rejuvenate the derelict city centre and boost the local economy. While they have suggested an ideal location for the tower’s development, discussions are still ongoing with the municipality of where it can be built. A previous version of the article neglected to mention some of the consortium partners.